Appearance: The front side of the car comprises of upper and lower grille fitted in a “U” shape design. Maruti Suzuki is fitted with broad headlamps, rectangular fog lamp and tail light cluster. Twin exhaust pipes at the rear side provide an elegant and sturdy look to the car. The broad alloy wheels enhance the sporty look of the car. 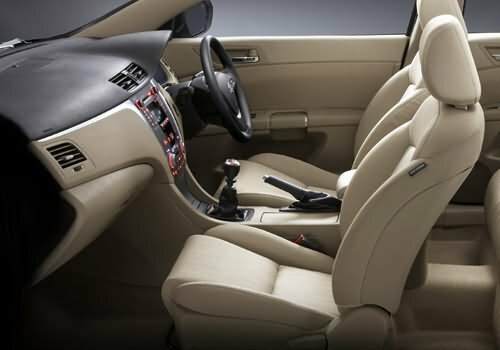 Comfort: Maruti Suzuki is an ultra spacious car and has sufficient headroom and legroom inside. The car has adjustable seats. The driver’s seat is 10 way adjustable with 3 position memory. The leather covered 3 spoke steering wheel is mounted with audio and cruise control and is tilt and telescopic adjustable. The dashboard of the car sports storage boxes, AC vents, instrument panel and a hi-tech audio system with 7 speakers. The cabin is provided with overhead console with sunglasses holder, cup and bottle holder (four each) and centre console box. The rear seat is split folding. 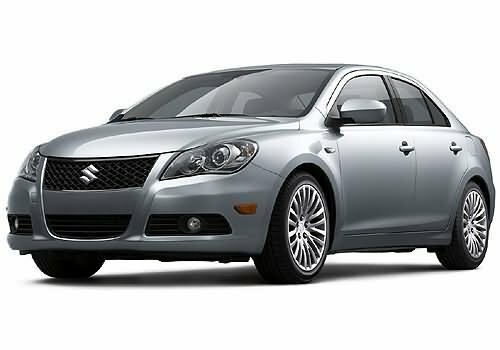 Safety: Maruti Kizashi has various advanced safety features. The car is fitted with Anti-lock Braking System (ABS) with EBD and Brake assist function. The car has side impact rear door beams and energy absorbing trim on pillars and roof side rails. Maruti Kizashi has DRL (Daytime Running Lights), child safety locks, ISOFIX child seat anchorages, LATCH child seat tether anchorages x3, force limiter, 3 point ELR (Emergency Locking Retractor) seatbelts with pretensioner and Vehicle Security System (alarm). The car will have 8 airbags, (SRS front dual advanced airbags, front and rear side airbags and front and rear curtain airbags). Engine: Maruti Kizashi has 2.4 liter, 4 cylinder, 16 valve, DOHC (Double Overhead Camshafts) type petrol engine. The engine is capable of producing 185 hp of peak power at 6500 rpm (Manual Transmission) and 180 hp at 6500 rpm (Continuously Variable Transmission). The maximum torque output is 170 Nm at 4000 rpm. Price: The price of Maruti Kizashi is expected between Rs.12 lakhs to Rs 16 lakhs. However, it is an approximate price which excludes tax, registration, insurance and price of accessories. it is nice to buy for everyone who wants laxury. It will lead the segment,others will have to be innovative. prise range shud be 6 to 7 lac…. Maruti Suzuki has plans of introducing the sedan, Kizashi in India by March 2011. This D-segment vehicle is more on the lines of a Honda Accord. Having worked in India as a small car giant, the company hasn’t managed as much success when trying to sell heir newer vehicles at higher prices. The Grand Vitara wasn’t as successful as one would have expected despite being a cheaper SUV as compared to others available in the Indian auto market. Of course, the Maruti Suzuki Grand Vitara also didn’t offer a diesel version which too marred its popularity. The Kizashi if well marketed could be a prime candidate for the D-segment. The Maruti Kizashi sedan boasts of a 2.4-litre, 4-cylinder engine. This little masterpiece hidden away under the bonnet can boast of 170PS of power and 220Nm of torque. The 6-speed manual and a CVT auto transmission choces could be favorable too. The Maruti Kizashi sedan also offers FWD and AWD versions. Initially the Maruti Kizashi sedan will be bought in as a CBU, and localization would seep in when sales volumes improve. The expectant price tag is hovering around the Rs. 15-16 lakh bracket.